Camilla, over at Making & Marking, had sent me a few children’s patterns to have a go at sewing up for Rosie. One of them was the Simplicity 2461 dress. The pattern comes with quite a few cute dress styles and there are layering options too. 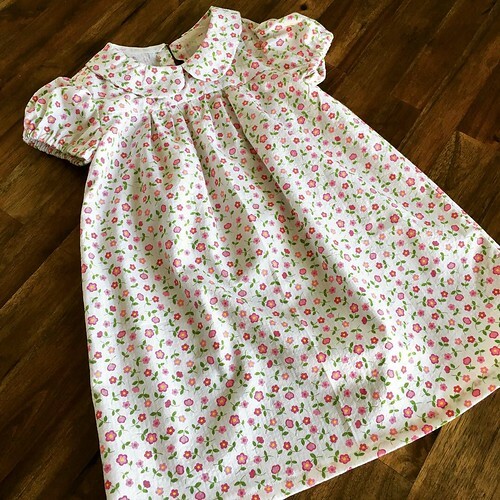 I chose to make View B and actually managed to choose some fabric from my stash that was quite similar to the main dress on the front of the pattern. I’m hoping that I can get some nice white seersucker to make the layered piece at some point too.